Please attend Enamine/Bienta G5 booth at the ELRIG Drug Discovery 2017 Meeting! At the photo: Iaroslava Kos, Ph.D., Bienta Business Development Manager, is presenting our poster “Differential Scanning Fluorimetry Provides High Throughput Data on Novel SIRT1 Inhibitors”. The poster is available here. 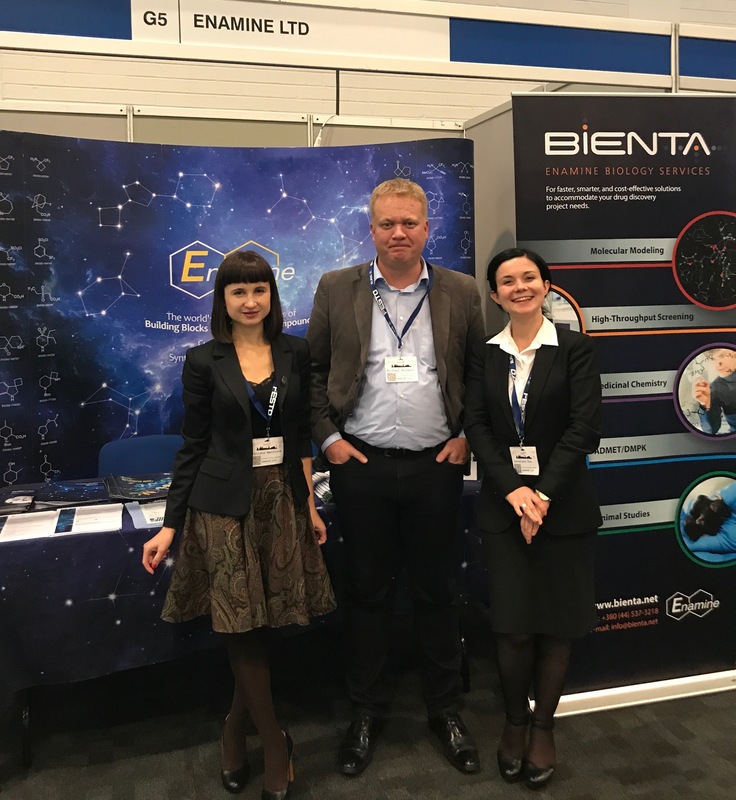 Enamine/Bienta Booth at the ELRIG Drug Discovery 2017 Meeting: Tetiana Matvijuk, Michael Bossert and Iaroslava Kos.